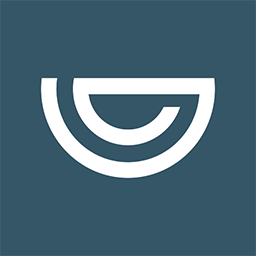 Token Name and Token Symbol: GVT (Genesis Vision Token), symbol the same with a logo. The ICO launch will be on 15 October 2017.There will be a pre-sale procedure, based on the option’s sale. Genesis Vision options program start will be on Sep 15 and will last until Oct 15. One GVT is equivalent to 1 USD during the ICO launch. The minimal investment amount for ICO is 20 USD (in the equivalent of BTC or ETH). What is the Options program (pre-sale procedure)? We offer options program instead of classic Pre-ICO. Genesis Vision option guarantees the right to acquire GVT tokens at a specified price during the ICO, so you have to pay only 5% on Pre-ICO and the remaining 95% you will have to pay during the ICO. Options will also give additional bonuses for tokens’ amount.Options for the first 20% of the maximum options cap guarantee their holders a 30% bonus; the next 30% receive a 20% bonus, and the remaining 50% receive a 10% bonus. Genesis Vision options program start will be on Sep 15 and will last until Oct 15. The minimal investment amount for Options program is 5 USD (in the equivalent of BTC or ETH). Unlike other blockchain projects connected with trust management, we don’t limit our target audience with the crypto world only. Our first goal is to bring the transparency and stability to the traditional financial markets such as forex, stock markets, hedge funds and so forth. Our team has a great experience in developing financial software, and traditional trust money management systems mixed with deep blockchain knowledge. We want to bring indispensable blockchain technology advantages to the long existing industry, which is currently suffering from fakers, unfair money managers, hidden processes and strong regulations. These factors cause limitedness due to the lack of information, the lack of transparency and consequently the lack of trust. And the Genesis Vision is a unique solution to these problems. Our partners’ companies have been engaged in technological maintenance and software development for brokerage companies, mainly in foreign exchange markets. Their experience allows them to integrate all of the necessary software into the industry without unnecessary costs and delays or difficulties from the broker’s side. For example our partner Tools For Broker inc. is servicing more than 250 companies from thirty different countries (35% – Europe, 35% – Asia, 25% – Middle East, 5% – Others). All of these companies are potential brokers for the project. At the moment, Tools For Brokers already sells a similar centralized solution that is installed in the environment of a particular broker. This software was purchased by more than eighty different companies around the world. The total turnover of funds through this trust management system amounted to more than $100 billion. Considering our more than 400 contacts with brokerages among our partners and advisers, we expect at least 100 brokerages to join our distributed system within 2 years. Since this statistics involves only existing customers, it will make Genesis Vision one of the largest blockchain applications. This will allow the project to move from the idea phase to an operating business as soon as possible.